Home LIVE & PLAY “Ambeng” Is More Than Just A Cuisine, It Is An Art! 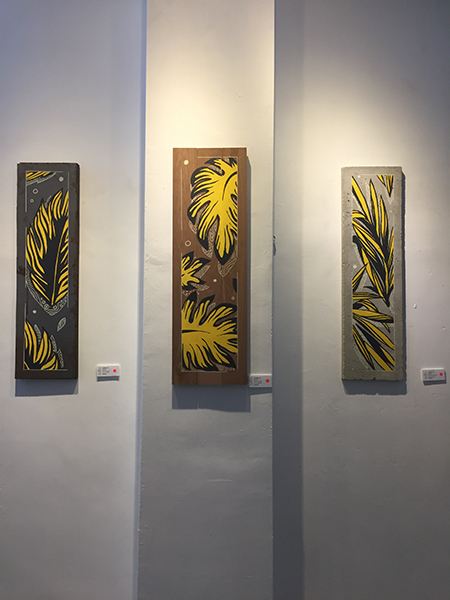 Johoreans and tourists can now enjoy unique art pieces at Ambeng Artspace in Taman Pulai Utama, Skudai. 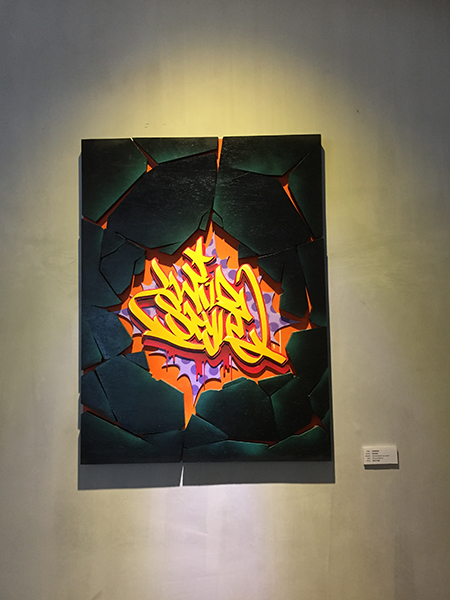 The gallery is officially opened to the public with its first exhibition called “From Street to Gallery” running till the 25th of February 2019. 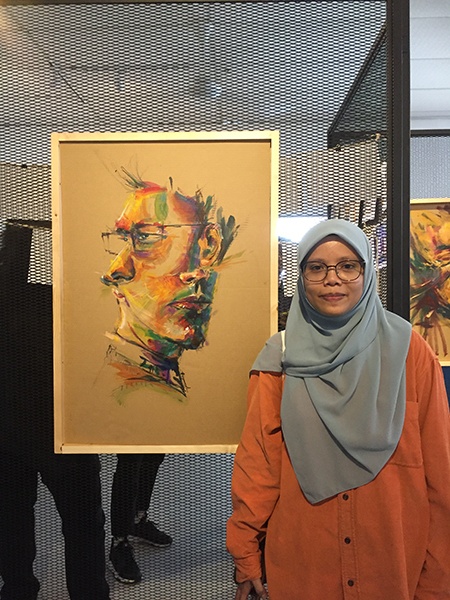 This exhibition serves as a platform for 9 artists, who previously participated in the street arts at “Laman Kreatif Kluang”, Johor, to showcase their artworks to bigger audiences in Johor. According to the space’s owner, Shahrizad Hassan, the idea of opening the gallery is to provide space for artists should they need a venue to host any events. Shahrizad or also known as Bob mentioned that at the same time, arts classes will be conducted at Ambeng Artspace for both students and professionals. “What makes us different from other art spaces is the way we conduct our classes. For students, we will teach survival arts instead of following the common syllabus. We want to find new talents,” said Bob. Bob is also optimist that the opening of the gallery was a good start since they have sold 5 artworks just after a few hours of opening. When asked the reason why the art space is called “Ambeng”, Bob related the name with the common traditional cuisine, “Nasi Ambeng”. He believes that the philosophy of the food speaks for itself which symbolises the sense of unity. 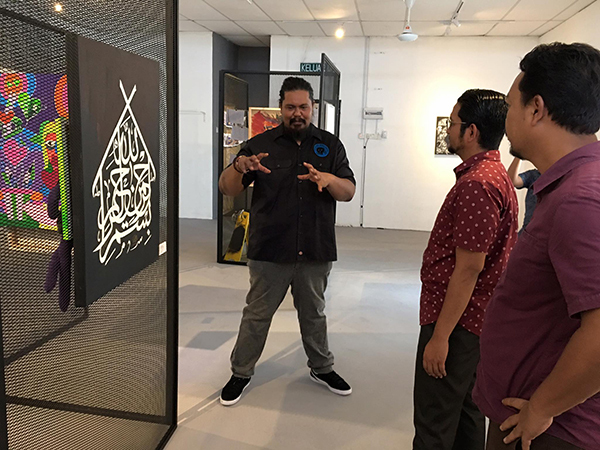 Sheikh ‘Umar Bagharib Ali, Johor Entrepreneur Development, Cooperative, Creative Economy and Information  Committee  Chairman also showed his support by visiting and launching the art space before attending another event in Muar, Johor. Drop by Ambeng Artspace and indulge yourself with some creative local artworks! The “From Street to Gallery” exhibition will last till 25th February 2019. The space is open from 10am-6pm daily except on Friday. Visitors would definitely buy one or two of the artworks because they are unique in their own class. The price starts from RM200-RM5000. For more info on space rental and arts classes, kindly follow their Facebook page; Ambeng Artspace. Previous articleHave You Ever Been Conned by a Third Party Agent for a Financial Consultation?